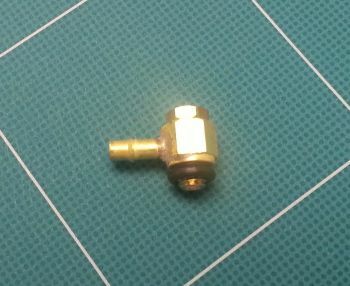 Adjustable brass 90 degree water fitting. These can rotate 360 degrees, which alows for less tubing and no kinks in the water line. This is the brass fitting ONLY. No water jacket included!